There is much to do in our gardens in preparation for Christmas and also to set things up for the hot summer months ahead. One of the initial tasks would be to fertilise your gardens, water well and top with a good layer of mulch, if you haven't already done so. As those wonderful spring flowering shrubs and climbers have given their best it is now time to give them a haircut. Shrubs like Weigela should have about one-fifth of the canes which have flowered cut out completely at ground level - this is to encourage new growth, with the rest of the canes shorted back by about the usual one-third, cutting back to a newly developing shoot. 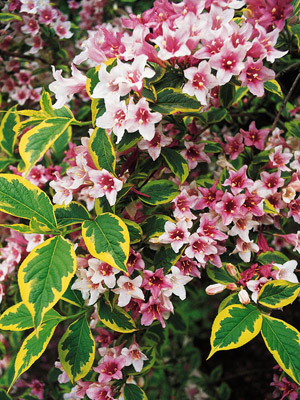 Deutzia is another wonderful shrub that needs to be trimmed and thinned immediately after flowering so next year the show is spectacular again. Prune the thin twigs to promote a sturdy framework of main branches. Propagate the hybrids and cultivars from half-hardened cuttings. Callistemon, can be given a good overall trim and will reward with a stunning show in a few months. 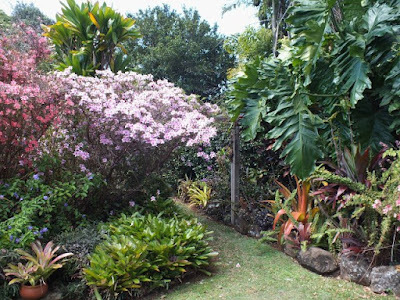 There are so many that grow well on the Coffs Coast it might be a good opportunity to plant some more too. 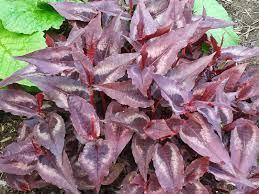 Persicaria 'Red Dragon' will appreciate a haircut now as the beautiful coloured spring leaves start to fade. Cutting back will promote fresh, vibrant grow and bright foliage. 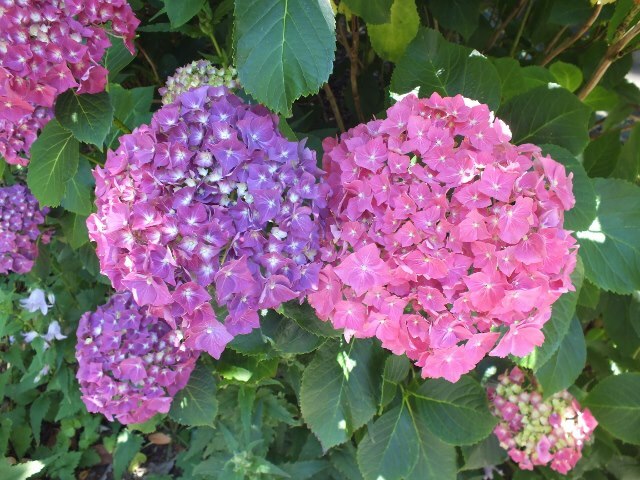 You'll notice that your Hydrangea are starting to bloom. As the meaning of their name is 'water vessel' they do need to consume a lot of water. It's best to have them sheltered from the hot afternoon sun in summer when you are choosing a spot for them. Morning sun seems to be the ticket for them. We have them growing in huge pots on the southern side of our home and yes, they do get a bit limp on really hot days however, on the whole they go quite well. 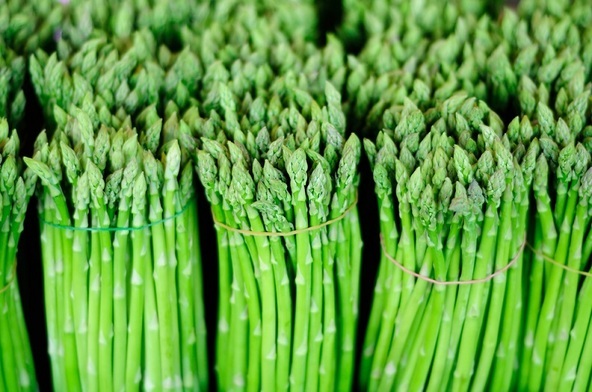 If the weather is still dry, keep up the water to your developing vegetable crops. Ensure that your tomatoes are staked at planting so there is no damage to roots later if you thump in a huge stake for support! Asparagus crops will be at their best at this time and will need to be 'cropped' regularly, it's amazing how quickly the shoots grow. When the picking season is concluded, keep the plants tidy by corralling them using stakes and string until the foliage dies off when the plants need be cut off, before heavy fertilising. 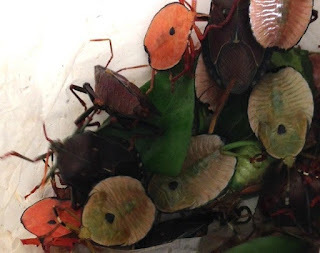 Keep a sharp eye out for the bronze orange beetle that attacks citrus trees and can really cause a lot of damage to the new shoots and the baby fruit. Spray with Eco-oil or Yates Nature's Way citrus and Ornamental Spray (which is organically certified). I generally knock them with a stick into a container of water with some liquid detergent added. The soap changes the surface tension of the water and they can't float on top. Be mindful to wear a long-sleeved shirt and eye protection as they squirt a nasty solution when disturbed.